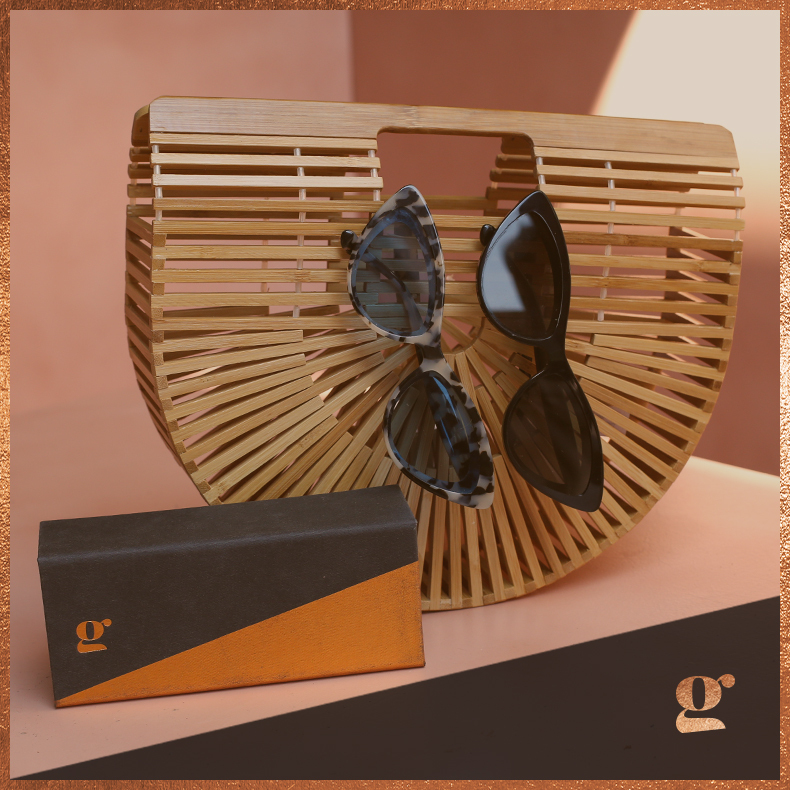 A new collaboration with the iconic Gemma Styles and Kenmark Eyewear will feature four fun, trendy sunglasses to be sold exclusively on Baxter + Bonny and we couldn't be more excited! Follow us on social media to stay up to date on all the details. We know you'll love them as much as we do! "Designing sunglasses is a totally new creative process for me and the first time I’ve made a consumer product, which is nerve-wracking but also so exciting! ", says Gemma. "I feel incredibly lucky to have been able to personally design eyewear that is both fun and well-made; it’s been great to work with such a reputable company like Kenmark Eyewear who ensure the standards of their producers and have helped me to make a high quality product that I’m proud to put my name on." "It’s amazing to make a product that you genuinely love and want to wear," says Gemma. She admits that it's been very hard resisting wearing the styles before the official launch, so she hopes it will mean others are just as excited about wearing them, too! Gemma assures that there is "something for everyone available in the collection, whether you prefer delicate or chunky, bold or neutral, patterned or block colour." Gemma loves sunglasses and she has always been known as a trend-setter, sporting the latest and greatest designs in eyewear and fashion. She's even been known to proudly rock some of our other designer frames throughout the years. So, when the opportunity was presented for us to partner with her in selling her first-ever collection, it was a no brainer for us! Through the collection, Gemma brings her simple, yet edgy, rock and roll aesthetic to life incorporating trendy, flattering shapes paired with high contrast, bold colors. It's a sweet combination that reflects Gemma's classic design sensibilities and fun flair.